Memories with friends or family at Victory Gardens, Union Pier. 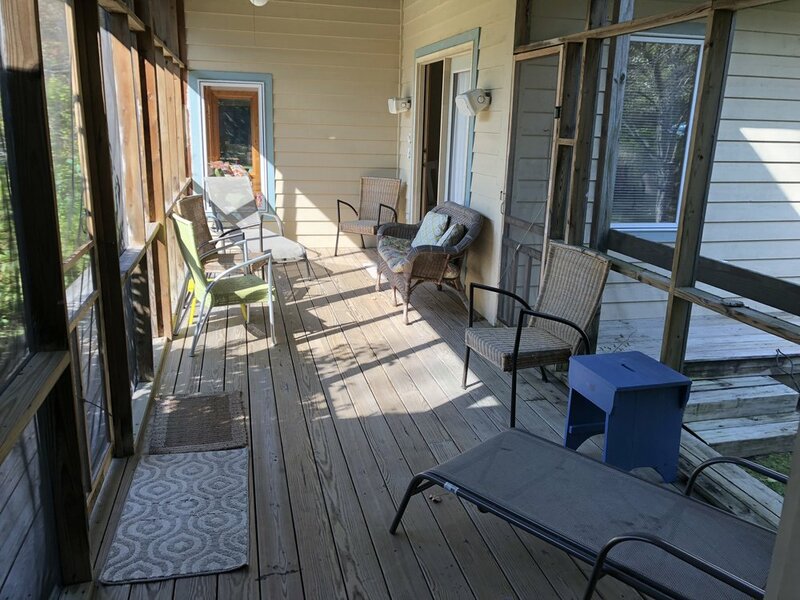 This beautiful home features 4 bedrooms and 2.5 baths in the main house and 1 bedroom plus a pull out couch and full bath in the guest house. 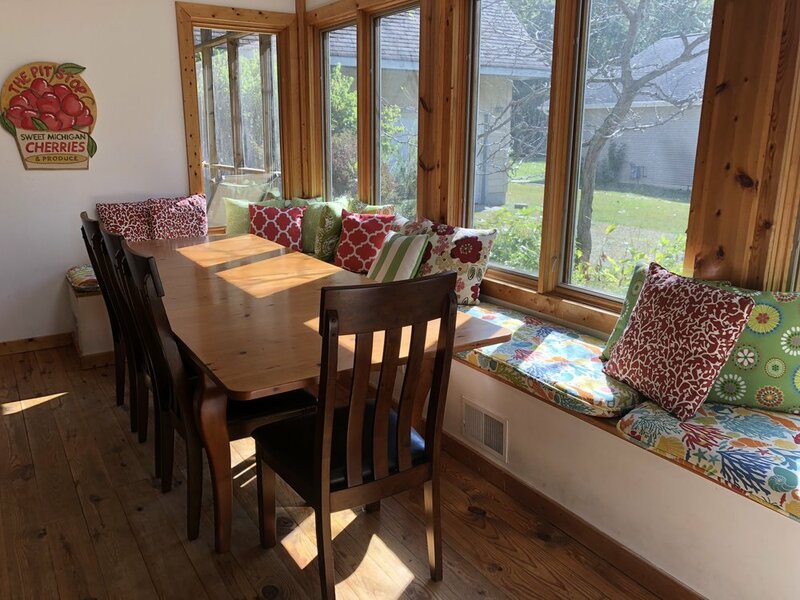 The main house and guest house are connected via a screened porch that all can enjoy. 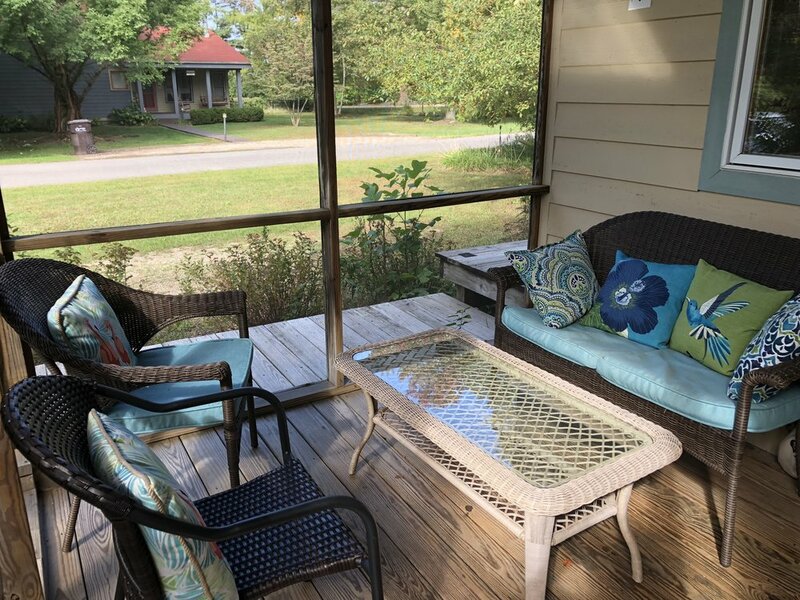 There's an additional screened porch as the front of the house, a large yard, a fire pit for all to enjoy plus close access to the Association Beach just steps from the house. The living room kitchen and dining room are an open floor plan with plenty of space for all to enjoy. The large cathedral ceilings makes this living space feel large and open. The living room has a large TV, fireplace, wifi and cable. 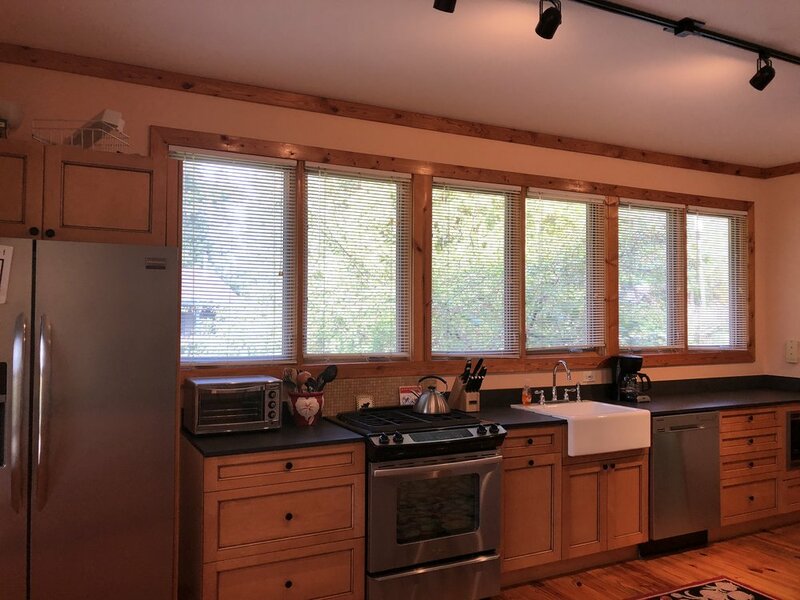 The dining area has window seats with amazing natural light and the kitchen is large enough for two chefs. The first bedroom on the main floor has two twin beds and a TV. The second bedroom on the main floor is the master suite. 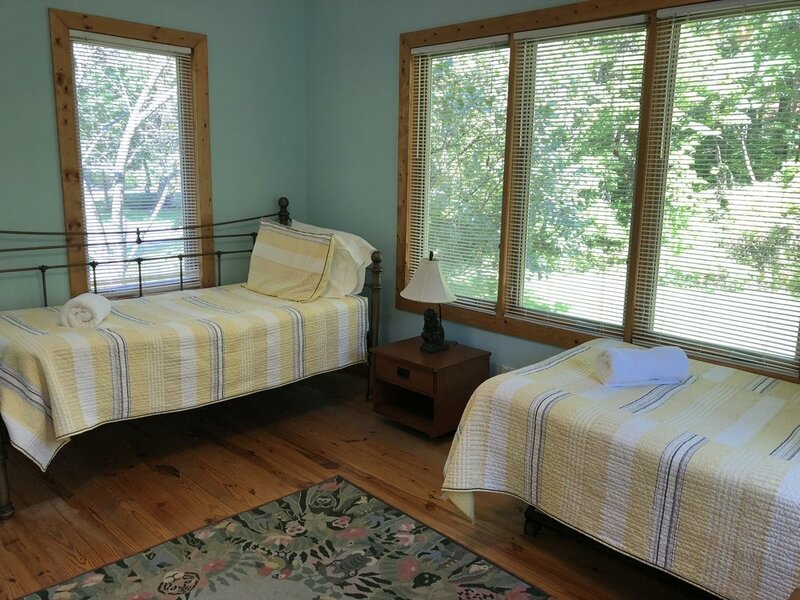 It has a King bed, full bathroom with tub/shower and access to the screened porch. 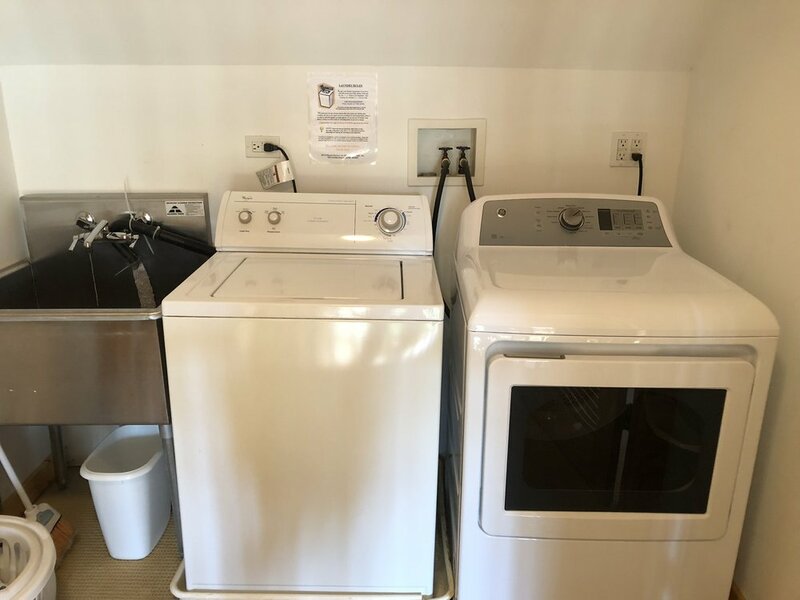 On the second floor there are two bedrooms plus full washer and dryer. 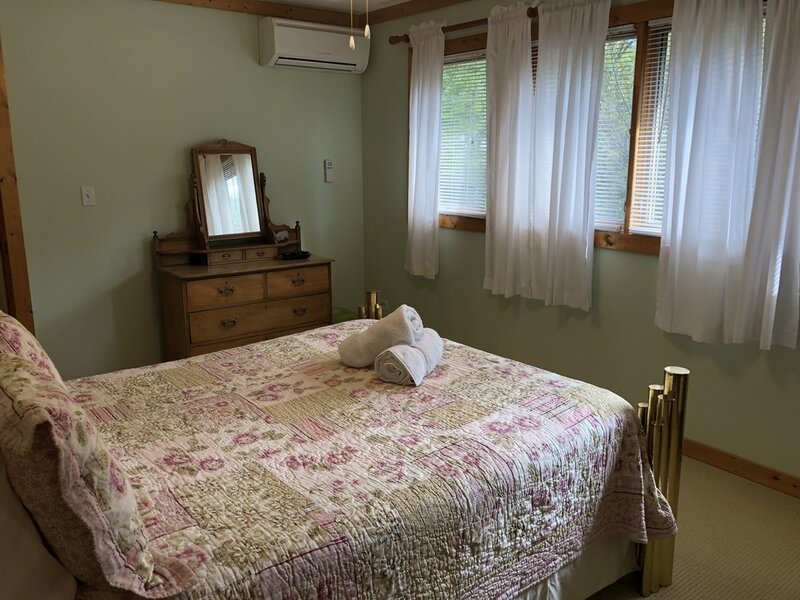 The first bedroom has two twin beds and the second bedroom has a queen bed. There is also a full bathroom with tub/shower on the second floor. 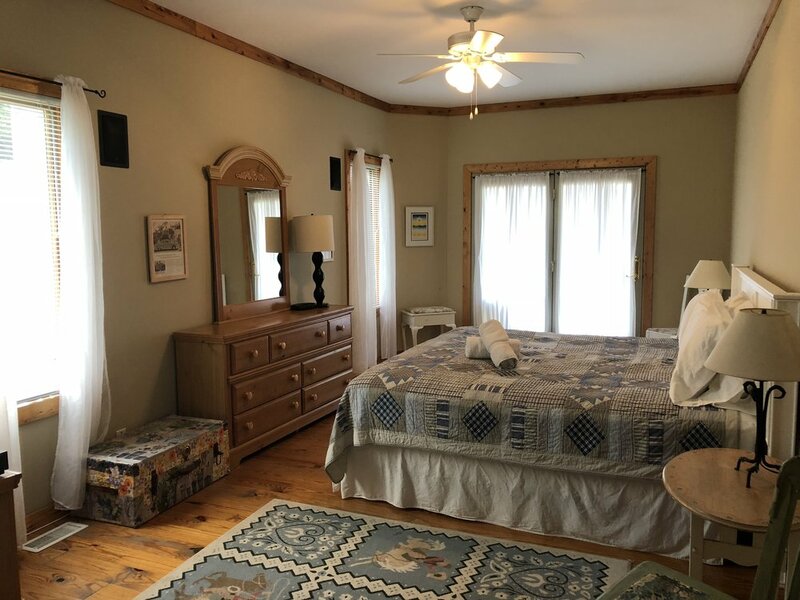 The guests house is great for the kids or another family and has a queen bed upstairs and a pull out couch on the main floor plus a full bath with a walk in shower. The guest house has a mini fridge and coffee maker plus access to the screened porch. The large yard is perfect for playing games or letting the kids run around and enjoy the outside. There s fire pit for enjoying a glass of wine while watching the stars. There s also an outdoor shower so that you can wash the Lake Michigan sand off of you before entering the house. As you step out the front door you can see the beach access from the house which is just steps away off of Lakeshore Rd. This home is located a couple of blocks from Red Arrow Road House and Whistle Stop. New Buffalo is just a 5 minute car ride also. This is a perfect home for a couple of families or friends that love being close to the lake in Harbor Country. Come and enjoy all this home has to offer. Perfect spot for a mini or maxi vacation. Beach is across the street !